Despite the freezing temperatures and shorter days, there’s no doubt that winter has a lot of great things to offer. However, getting outside to enjoy winter activities can be risky since most surfaces are covered in a treacherous layer of ice, slush, snow or a combination of all three. It’s easy overlook the obvious risk of personal injury from a slip and fall. 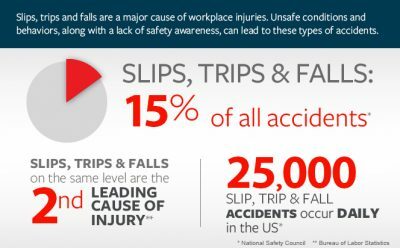 You might be thinking that slips and falls accidents happen mainly to seniors and the elderly, since they are typically less agile and most at risk of serious injury. However, being young and nimble doesn’t exclude you from the risk. Falls were the leading cause of injuries for 35% of working-age adults and one-half of teenagers. When you dive deeper into the statistics, you might be surprised to see how many people are injured from something that doesn’t seem that serious. 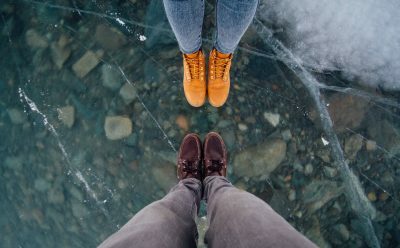 It’s best to learn some easy tips and tricks to avoid personal injury from a slip and fall so you don’t panic (as much) when you see a patch of slippery ice glaring back at you. – Walk like a penguin. That’s the best way to describe it! Be careful, take your time, make sure to stay flat footed and take smaller strides than normal while keeping your arms free for balance. – Watch for puddles when entering a building. The snow and ice brought in from outside will melt there. – Don’t have a ton of items in your hands. The weight can throw off your balance if you slip slightly and your hands will not be free to catch yourself. Use a backpack if possible. -Be careful when getting out of your vehicle. 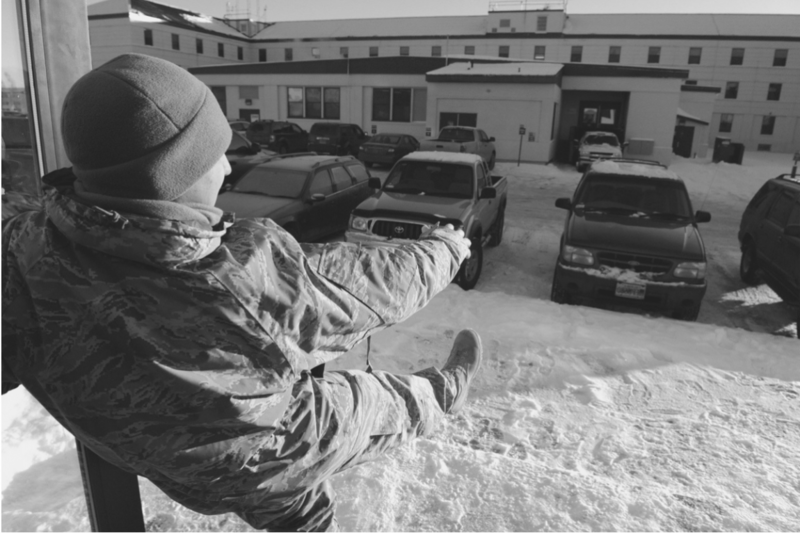 Placing all of your weight on one foot as you get out of your vehicle can be an easy way to slip and fall. Who is Responsible if You Are Injured? So you tried your best to be as careful as possible but still end up getting injured from a slip and fall. What now? It all depends on where you fell. An occupier, someone in Ontario who owns the premises or is responsible for it, is legally required to take care of the property so that everyone entering is reasonably safe. Find out further details on the Occupiers’ Liability Act here. If you believe your injury was the result of someone’s negligence, then it is important that you follow the correct procedures in order to ensure that you are eligible for compensation. – Contact a personal injury lawyer to be better informed about your rights before proceeding with a slip and fall claim. The messy winter weather will always be here. You can’t stop that. But you can help yourself with preventative measures to avoid common slip and fall injuries. If you’ve been injured, contact a personal injury lawyer to start you claim.